Komori Machine Works is founded in Kitashinmachi, Honjo-ku, Tokyo (present Higashikomagata,Sumida-ku, Tokyo). 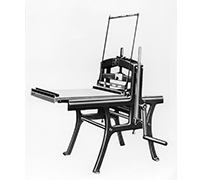 Lithograph roll printing press is developed. Manual sheetfed 32-inch offset press is developed. 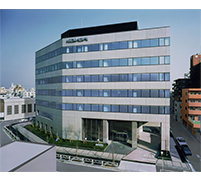 Komori Printing Machinery Manufacturing Co., Ltd. is founded in Azumabashi, Sumida-ku,Tokyo (present Head Office). Osaka Representative Office is established (present Osaka Regional Headquarters in Osaka City). 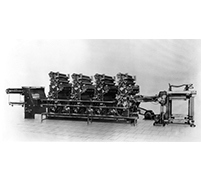 First Komori four-color offset press (UM-4C) is developed. Dry offset banknote press is delivered to the Japan Printing Bureau, Ministry of Finance. “Komori Printing School,” first of its kind in the industry, is established. Company name is changed to Komori Printing Machinery Co., Ltd.
Komori America Corporation (in the suburb of Chicago) is established. Shares are listed on the First Section of the Tokyo Stock Exchange. Komori Europe Limited (present Komori U.K. Limited) in Leeds, U.K., is established. 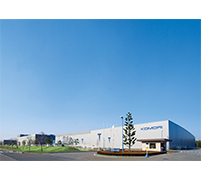 Komori Yamagata Machinery Plant is completed which specializes in the production of smallsized sheetfed presses, resulting in a three-plant organization with Toride Plant for mediumsized press production and Sekiyado Plant for large sheetfed, web offset and special press production. 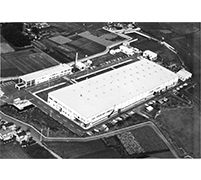 Komori Europe B.V. (present Komori International (Europe) B.V., in Maachen, the Netherlands), is established. The first securities press for export is delivered to the Korea Security Printing and Minting Corporation. Komori-Chambon SA (in Orleans, France) is established. Company name is changed to Komori Corporation and names of group companies in Japan are revised accordingly. Company stock is recognized as loan transaction stock by both the Tokyo Stock Exchange & Osaka Securities Exchange. Full-APC, the world’s first automatic plate-changer, is developed. Groundbreaking of Head Office is performed. APC development is honored with awards from the Japanese Society of Printing Science and Technology and the Japan Society for the Promotion of Machine Industry. Groundbreaking of Techno Service Center is performed. Full banknote printing lines are delivered to the Reserve Bank of India. Komori KHS System is developed. 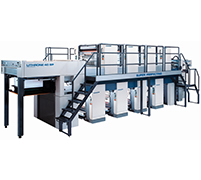 “Lithrone 40 SP,” two-sided multicolor offset press, is developed. Komori Hong Kong Limited (KHK) is established. Sales of the Lithrone series products exceed 10,000 units. Full banknote printing lines are delivered to the Nigerian Security Printing and Minting Co., Ltd.
Parts Service Center is established. 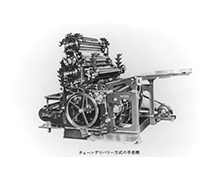 Rights to development, production, sales, and service of web offset presses (including those for books and publications) from Toshiba Machine Co., Ltd., are granted. 1st Phase construction of Tsukuba Plant is completed and operation starts. The cutting-edge machine “Lithrone S40” is developed. Qualifying is completed for the ISO 14001 certification for all divisions. Komori calendar of 2004 receives the “Prime Minister Prize” at the 55th Japan Calendar Exhibition. Web Offset Press “SYSTEM 35S” is developed. 2nd Phase construction of Tsukuba Plant is completed and integrates Toride Plant. Komori Printing Machine (Shenzhen) Co., Ltd. (KSZ) is established. 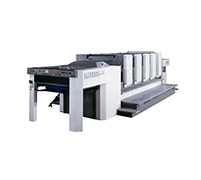 44″ Offset Printing Press “Lithrone S44” is announced at IGAS2007. 40″ Offset Printing Press “Lithrone SX40” is announced at drupa2008. 3rd Phase construction of Tsukuba Plant is completed and integrates Sekiyado Plant. Komori Graphic Technology Center is opened in the extended space. 29″ Offset Printing Press “Enthrone29” is announced at IPEX2010. H-UV development is honored with award from the Japanese Society of Printing Science and Technology. 40″ Offset Printing Press “Lithrone G40” is announced. 37″ Offset Printing Press “Lithrone A37” is developed. 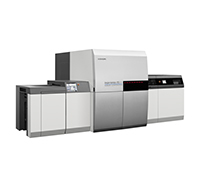 The global sales agreement is signed with Konica Minolta Business Technologies, Inc. The global strategic partnership agreement for Nanography is signed with Landa Corporation. Komori Machinery (Nantong) Ltd. (KNT) is established. Gravure Offset Press “PEPIO F20” and “PEPIO R20″ for Printed Electronics (PE) are announced. 40” Front/Reverse Multi-Color Offset Printing Press “LITHRONE GX40RP” is developed. 37″ Convertible Perfecting Offset Printing Press “Lithrone A37P” is developed. Komori Corporation is selected as one of the “Global Niche Top 100″ by the Japanese Ministry of Economy, Trade and Industry. Komori Southeast Asia Pte. Ltd. is established. Komori Malaysia Sdn. Bhd. is established. 40” Offset Printing Press “LITHRONE GX40” is developed. Programmable Hydraulic Clamp Cutter “Apressia CT115/CT137″ are announced. 29” Sheetfed UV Inkjet Digital Printing System “Impremia IS29” and Automatic Flatbed Die Cutting Machine “Apressia DC105” are announced. 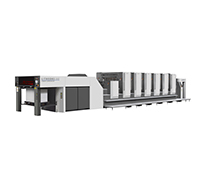 26″/29″ Offset Printing Press “Lithrone G26/G29” are announced and LED version “H-UV L (LED)” joins lineup of H-UV. 44″ Front/Reverse Multi-Color Offset Printing Press “LITHRONE GX44RP” is announced. Impremia IS29 Receives Printing Industries of America’s 2017 InterTech™ Technology Award. Programmable Hydraulic Clamp Cutting System “Apressia CTX115/CTX132” and High Performance Blanking System “Apressia MB110E” are announced. Komori India Private Limited (KND) is established. 37″Convertible Perfecting Offset Printing Press “LITHRONE G37P” is announced. CURRENCY NV32 Wins IACA 2018 Excellence in Currency Technical Award.